Ready Player One is every video game geek’s dream. A virtual world that is fully immersive and contains everything you can think of. This has easily secured a spot as a favorite read of mine, and the fact that this is one of the few books I’ve read with my boyfriend makes it even better. 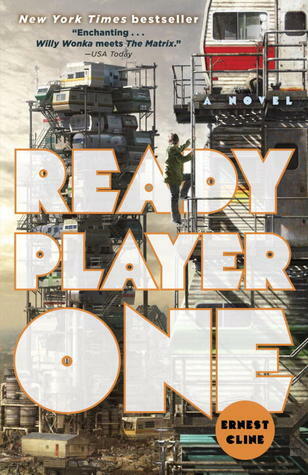 Ready Player One was an awesome surprise in our monthly Loot Crate a few months ago, and we started reading it immediately. This book turned out to be so different from what I was expecting. I had expect a ton of 80’s references, but I didn’t expect to laugh so much and then spend my time digging out old Atari games to play. The bottom line is this book is incredibly fun, both for the geeky gamer and for the everyday reader. Our main character is Wade, a witty kid who has always had a tough time getting by in the real world. He’s poor and lives the Stacks with his not so appealing family. But in OASIS he has the possibility of being something more, he just has to find a way to make it happen and that comes in the form of the game wide contest put in place by the late creator of the game. The person who solves the puzzles will win an epic prize. What follows is a wild ride of self discovery and nostalgia. I spent most of the book wishing that something like this existed in our world. It’s one of my favorite gaming tropes, and I’m always addicted to things with virtual reality gaming in them (i.e. .Hack, SwordArt Online, etc.). The one thing that Ready Player One has that the other stories don’t, is reality. I can easily see our world becoming so virtual that the real world suffers greatly, and I easily see large groups of people seeking to exploit something as large and communal as OASIS. Then of course there are the clues. I literally made myself stop reading when I got to a new clue because I wanted to try and figure it out for myself. I quite like Wade, and I really enjoyed his character progression throughout. He’s gone through some tough crap before the beginning of the game and it only gets tougher the more involved he gets into searching for the answers to the puzzles. I actually saw a lot of myself in him, and I totally understand his obsession with the easter egg hunt because I get the same way about my games. I really appreciated that the author took the time to go over the dangers of sitting in a gaming chair too long too…because been there done that, and I would absolutely love to have a system that required me to move around. I’d be the most fit gamer to graced the planet. I also liked his fellow gamers Art3mis and and Aech, who are there with him throughout most of the egg hunt. There is even some romance and it’s perfect. When you spend large amounts of time in a virtual world it’s not odd to find yourself gravitating towards other people, and that’s what happens with Wade. It’s a slow building relationship that has it’s problems, some universal and others unique. There were moments when it became a focus, but I don’t think it took away from the story as it helped Wade grow as a person. Ready Player One now has a permanent place on my favorites list. I’ve listened to a fan made playlist of all the songs mentioned in the book, played as many of the video games mentioned that I could, and spent hours trying to figure out where on earth each clue could be. In the simplest terms, this book is incredibly fun! 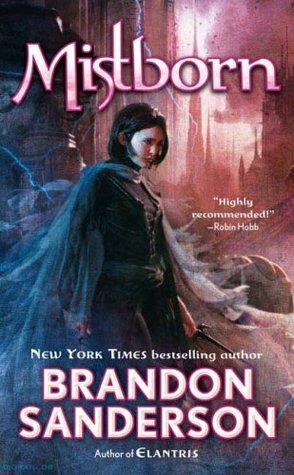 Image | This entry was posted in Book Reviews (2015) and tagged 5 stars, dystopia, new adult, review, sci-fi, young adult. Bookmark the permalink. I’ve read the book and I’ve listened to the audiobook. Both are good, but I really enjoyed the audiobook because it was read by Wil Wheaton, and he just gets it. Every time I read this, it makes me want to play Galaxian or something. I listened to a sample of it when I heard he was the narrator, definitely a good pick! I ended up playing Adventure quite a bit. Did you? I’ve never played that, but listening to Wil read definitely made me want to go back and play all the old games! It’s fun in a frustrating, “what the heck am I supposed to do now?” sort of way, lol. That’s exciting you were able to read this with your boyfriend. This one has been on my wishlist for a long time now. I need to get a copy! I LOVED this one too. I listened on audio and it was so good. I’m not even a gamer but I was hooked from beginning to end and now I’m on a mission to make my husband listen as he is a gamer and I know he’d love it.